Rosy cheeks and memories of winter’s bliss are not yet a thing of the past. 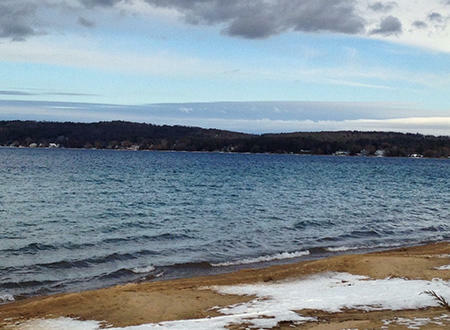 Nature&apos;s most exhilarating season in Traverse City is here for another few months and we&apos;ve invited Ashlea Walter from My Best Winter Ever to share a few of her favorite activities. 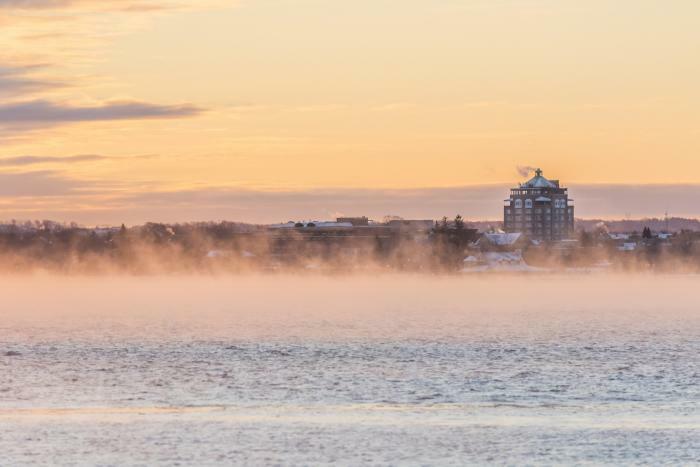 Although we&apos;re mostly known for blue skies, freshwater beaches, vineyards, and amazing summer vistas, winter is incredibly beautiful in the Grand Traverse area. It really is! Of course, the only way to discover the beauty of winter for yourself is to get outside and embrace the elements. Gear up and try one (or all) of these four ways to make this your best winter -- before it’s over! People often associate beaches with warm weather, but there&apos;s so much beauty to be found during the off-season! Choose your favorite summer beach destination and make a plan to explore it soon, before the spring thaw completely melts away winter&apos;s display of snow and ice. Step onto the snow-filled shoreline and be sure to look up, down, and all around for really cool ice formations. Wear boots with good traction, and bring your camera to catch the awe-inspiring natural sculptures that you’re sure to come across. You’ll leave amazed. It is hard to believe that you’ll be playing frisbee on that same beach in just a few short months! There’s something magical about seeing the different parts of this wonderful park during the winter, when the sand dunes rest under a quiet duvet of snow. The funky locust trees reach their craggy arms into the seemingly arctic air and the cobalt blue water draws you near its magnificent beauty. If there’s still snow on the Dune Climb, climbing up and sledding down is a must-do experience before you leave. This is the only dune that’s available for sledding and it can be quite the thrill ride. Hang on! 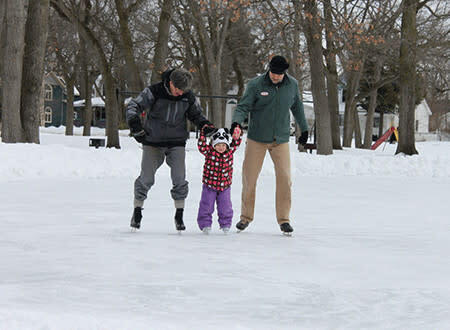 Pack up the ice skates and head to one of the ice rinks in Traverse City. Just east of downtown, F&M Park at Railroad and Washington is a great area for families. South of downtown, on 14th Street, is another rink. Both are perfect for a casual afternoon of skating and playing on the ice. And if you happen to see an all-ages pick-up hockey game with the neighborhood gang, join in! After all, you are embracing winter. Another option is the Twilight Skate at Howe Arena inside the Civic Center. Rent skates and rock out (with neon lights) for a memorable time. I love being cozy inside during a cold day just as much as anyone else, but it&apos;s also very fulfilling (and refreshing!) to get outside. The air may be crisp and you might need a few extra layers, but the rewards are plentiful. Take a walk in the Central Neighborhood district where you will find historic houses standing proudly in winter&apos;s glory. Or head out to the local nature trails where you might catch a glimpse of spring&apos;s arrival. Listen for the sound of migrating snowbirds, look down for the first spring flowers to burst through the receding snow: crocus, snowdrops, and the lenten rose. After all of that, if you are still craving a few hours inside, head to one of the area&apos;s coffee shops with a great book or make your own happy hour with a pint at a local brewery. Ashlea Walter lives with her family in downtown Traverse City. She lives to create, engage, collaborate and build a strong community. She blogs about living a creative life in northern Michigan at www.besquirrely.com. A winter lover through and through, she is the founder of My Best Winter Ever!, northern Michigan’s winter cheerleader.